Filed under: Freebies, Print and Cut Tags: Christmas, illustration, kid stuff, stickers, tutorial beginners silhouette | Comments Off on Rainbow with Clouds + Bonus Hearts Rainbow! Hey, guys! Last post I shared with you a tutorial on how to create rainbows (and clouds!) in Silhouette Studio. Today, I’m giving away free rainbows! If you’ve been here before you might notice that our site is CHANGING! I am SO THRILLED! 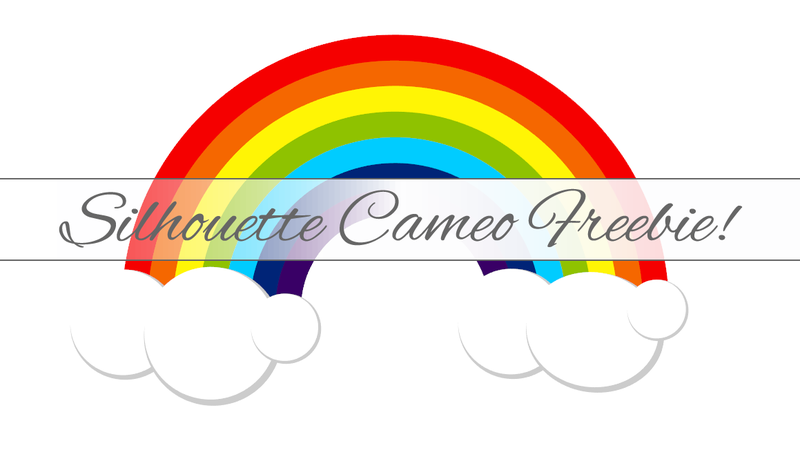 And while free stuff is great, in case you missed it and want to learn how to make them in addition to having free rainbows, check out the post with the video tutorial here: Create a Rainbow in Silhouette Studio.